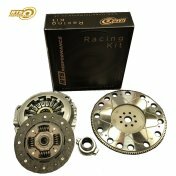 All RTS 4WD Clutch kits and Flywheels have a number of features which make the product distinctly new. The kit is designed with off-road drivers in mind. The cover assembly incorporates a premium corrosion resistant surface finish which exhibits excellent resistance to oxidation over a prolonged period of time. The cover assembly’s pressure plate is manufactured from Spheroidal Graphite casting material which has a yield strength 300% higher than standard castings. The materials micro structure also improves heat dispersion. The cover assembly also incorporates greater clamp load than a standard cover assembly. This translates to more torque transfer. 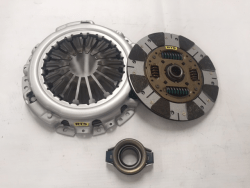 This casting material has not been used in this application previously and is especially useful in 4WD applications where higher clutch operating temperatures and load transfer are experienced and required i.e. 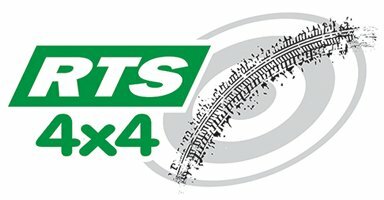 Purposeful clutch system slipping for off-road situations, towing and manoeuvring external vehicle payloads like trailers and caravans. 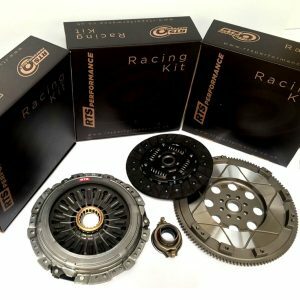 The clutch kit’s clutch disc has a unique flywheel side friction material. The Aramide friction material exhibits 50% less wear than a conventional clutch disc’s friction material. This material also reduces the effects of fade. The aramide friction material is arranged on the flywheel side of the clutch disc in a segmented fashion. The arrangement of the geometric form of each of the segments increases the Mean Effective Radius (Rm) of the clutch disc. By increasing the Rm the transmittable torque of the clutch increases. 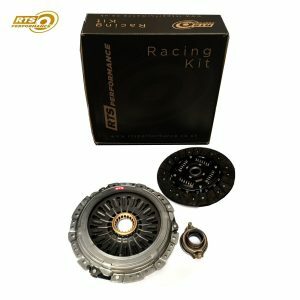 Capable of transmitting greater than 60% more torque than a standard Clutch Kit making it suitable for high performance vehicles. 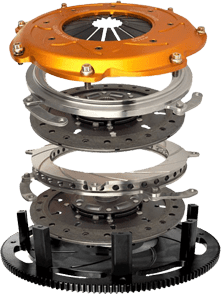 This overall Torque Capacity increase has been achieved by higher Clamp Loads, increased Mean Effective Radius of the friction area, better cooling of the pressure plate and higher coefficient of friction materials on the Clutch disc. The Patented* pressure plate with ER² grooves are precision machined with CAD/CAM technology. The design enhances the performance in 2 ways. Firstly, it increases the torque capacity of the cover assembly by up to 8% and secondly it assists with cooling which in-turn enables the friction material to operate at lower temperatures and therefore at a higher coefficient of friction.